Despite its name, the Panda Ant is a type of wingless wasp. But why am I sharing this fun tidbit with you? 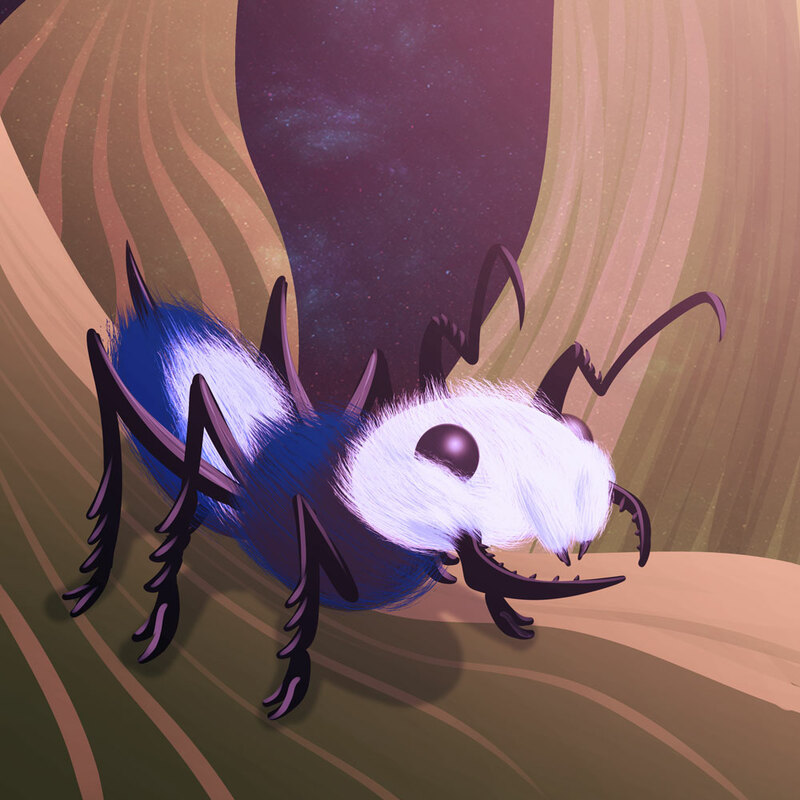 Consider the Panda Ant as your first look at one of the new portraits from Atypical Animal Book, my upcoming work featuring some of the most interesting and unusual animals from across the world. I’ll be writing and illustrating this child-friendly introduction to weird and wonderful animals you never knew existed. This activity is funded in part by a grant from the Lake Region Arts Council with McKnight Foundation funding. This is very exciting news for me, as it not only marks my first officially published book, but it checks off another item from my bucket list as well as represents a multi-faceted labor of love. The book is scheduled for a release date of March 15, 2017. If you would like to get all the latest news and updates about the book, as well as exclusive previews and members-only content, make sure to sign-up for the Atypical Animal Book Club. And as an extra-special incentive, everyone who signs up for the Atypical Animal Book Club will receive a members-only print from a privately curated collection ABSOLUTELY FREE. For more information on this, you absolutely must join the Atypical Animal Book Club! Thank you very much for everything, and I wish you all a wonderful week ahead.